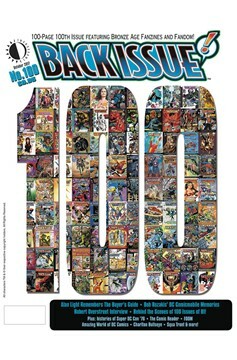 A Special 100-page Centennial issue featuring Bronze Age Fanzines and Fandom! The story of The Buyer's Guide by founder Alan Light, an interview with The Comic Book Price Guide founder Robert Overstreet, Bob Rozakis' DC Comicmobile memories, a backstage pass of Super DC Con '76, and histories of The Comic Reader, FOOM, The Amazing World of DC Comics, Charlton Bullseye, Squa Tront, and Fawcett Collectors of America! 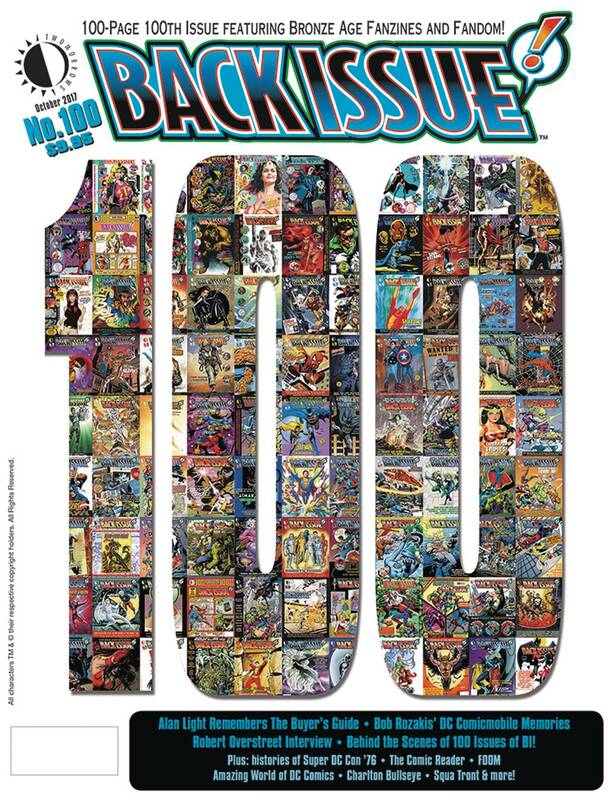 Featuring Scott Edelman, Carl Gafford, Bob Greenberger, Jack C. Harris, Tony Isabella, David Anthony Kraft, Bob Layton, Paul Levitz, Michael Uslan, J. C. Vaughn, John Workman, and others… and go behind the scenes of Back Issue magazine in an interview with editor Michael Eury. Bonus: Comes polybagged with TwoMorrows' new full catalog!.